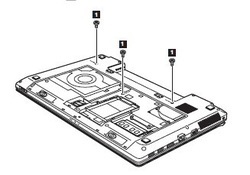 The is guide is for Lenovo G480 and G485, if your laptop is Lenovo V580 or Z580, the disassembly method may be different, but I think they are similar. Firstly, please be sure your laptop Lenovo Ideapd G480 / G485 is turned off. 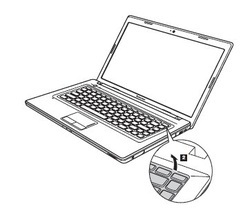 Unplug the power adapter and remove the battery. 3. Loosen the Lenovo Ideapad G480 G485 keyboard with fingers in the direction shown by arrow 2 . 4. 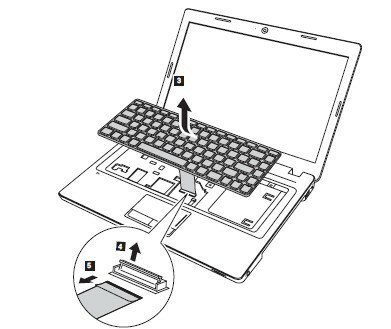 Lift the keyboard a little 3 , and then detach the connector in the direction shown by arrows 4 5. 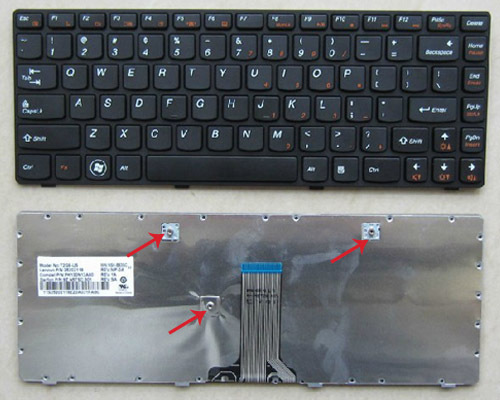 Reverse the procedure to install the new Lenovo Ideapd G480 G485 keyboard.